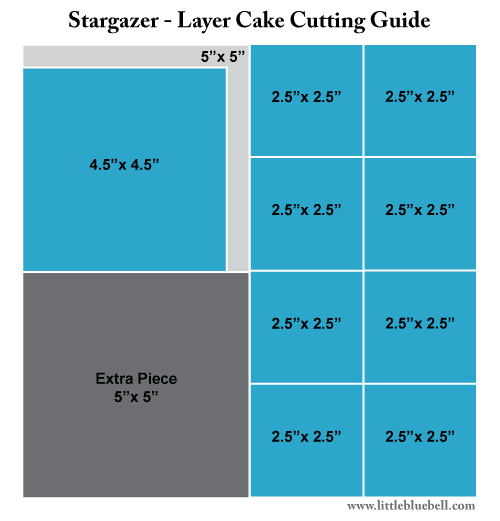 This post contains bonus cutting guides for the Stargazer Quilt Block Tutorial. For the original tutorial and piecing guide click here. When I worked out the math for the Stargazer blocks, I did it with layer cakes and charm packs in mind. I like using as much of the fabric as possible in as few cuts as possible. If there are extras, I know I'm more likely to use them for other projects if they are usable sizes. So with that in mind, here is a way you can cut out your pieces either from layer cakes, or charm packs. 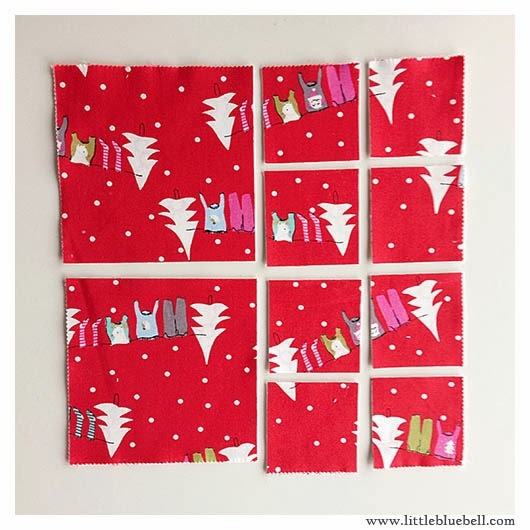 I used a layer cake of Cherry Christmas by Aneela Hoey for my Christmas Stars quilt. A layer cake is a pre-cut stack of ten inch squares. 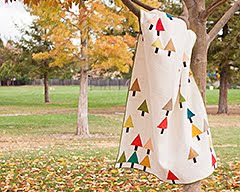 You will need one layer cake square plus background fabric for each star. 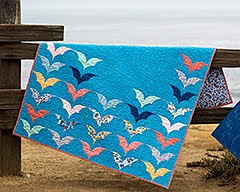 If you cut carefully, you will have enough fabric for your stars and a bonus stack of five inch squares for your stash. 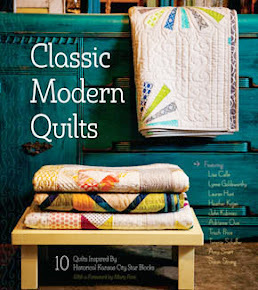 A charm pack is a pre-cut stack of five inch squares. 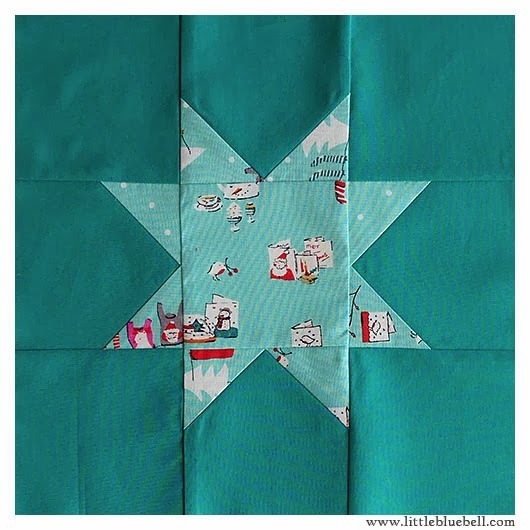 You will need three matching charm squares plus background fabric to make each star block. 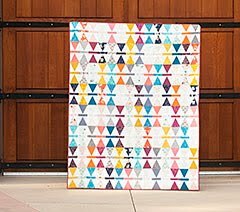 There is one more trick to make piecing your quilt top even faster. 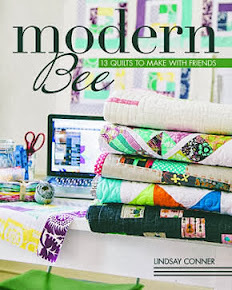 Instead of diagonally marking each squares, place a piece of painters tape in line with your needle to use as a piecing guide. I also use this technique when making flying geese and snowball blocks. Note: I originally posted this video on Instagram and in order to make it fit, I had to speed it up. I don't really sew this fast! I have 3 Sultry charm packs that I've been puzzling over. This might be the perfect project for them! Thanks Adrienne!!! Hugs! Thank you very much for this it looks fab !! 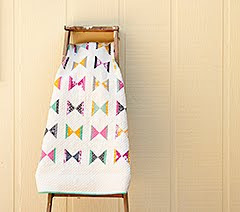 I'm going to be making one of these! Thank you for the easy 'recipe'. It pairs up 2 of my favourite things: pre-cuts and stars.